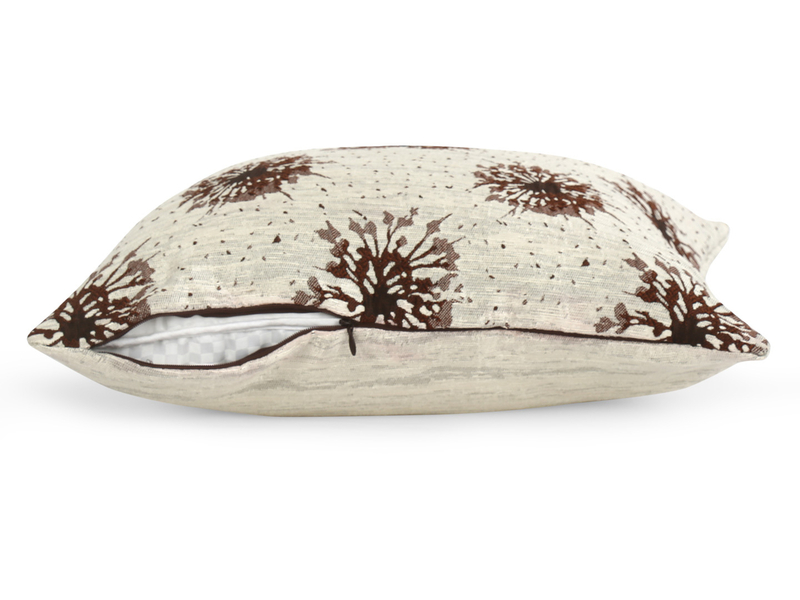 Nilkamal’s range of cushion covers include the newest range of covers called the Splash collection. They come in a neutral brown colour with a few details to pump up the look. They come in microfibre material of polyester. This material is absolutely low maintenance and easily washable even in the washing machine. They come in a set of 2 so they can be used for a double bed cot that comes with two cushions. They will give a decorative look to your hawk bedroom changing its look adding that aesthetic. The covers are 30 by 30 cm each and will cover cushions close to that size. The Splash cushion covers are an essential for people with large beds that have many cushions to be decorated. These covers will also look very nice for cushions that are part of a couch or a sofa set that can be kept in the drawing room where people visit you in your home. These chic cushion covers can adorn your home and make it even more perfect. Buy them only from @Home by Nilkamal! Don’t miss out on the offers and many other discounts only at Nilkamal!